There are few events that people start planning the moment the previous one has finished. Christmas and the family holiday are probably on that list. Le Mans is definitely there. Le Mans 2019 is already unique in that it will be the second Le Mans 24 hours in the one, not to be repeated, “Super-Season” of the FIA World Endurance Championship. From now on, the Le Mans 24 Hours will be the grand finale to a season that begins in September & October the previous year. If Le Mans could be any more important in the motorsport calendar, it will be now. 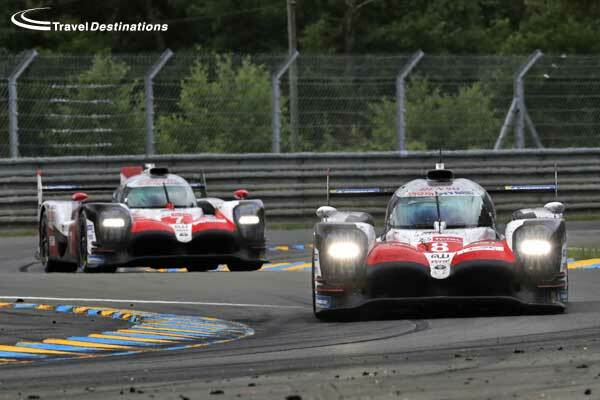 Toyota dominated the 2018 race, but there was also a lot of positives to be taken from the new private teams, who now have the invaluable experience of a Le Mans 24 Hours under their belt. Expect some rule changes and “balance of performance” tweaks to enable the privateers to close the gap on Toyota at Le Mans 2019. We know what to expect from the LMP2 battle. In 2018 we saw both a chassis war and tyre war mix up the grid, but it will perhaps be remembered for the controversy that saw teams disqualified after the podium presentation for tampering with their refuelling rigs. That was a shame for quite a few teams that either had their trophies taken away, or that missed out on that podium feeling in the first place. Hopefully lessons will be learnt by everyone before Le Mans 2019. The GTE Pro battle was exceptional in 2018 & there is no reason to expect it to be any different for Le Mans 2019. 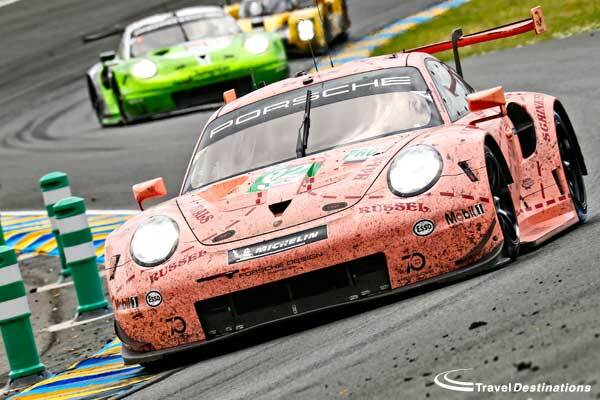 Porsche’s retro-liveried cars were instant fan favourites and were cheered on by thousands as every lap went by. However, they were pushed all the way by a mixture of the Ferrari & Ford with the new BMWs not far behind. The older Corvettes and the new Aston Martin Martins looked great, but lacked the performance to back it up, but a year on don’t expect the same results. GTE Am continues to deliver. There was competitive racing, errors, moments of exceptional skill and a popular winner in the best performing car. What more can you ask for? Same again at Le Mans 2019 please! 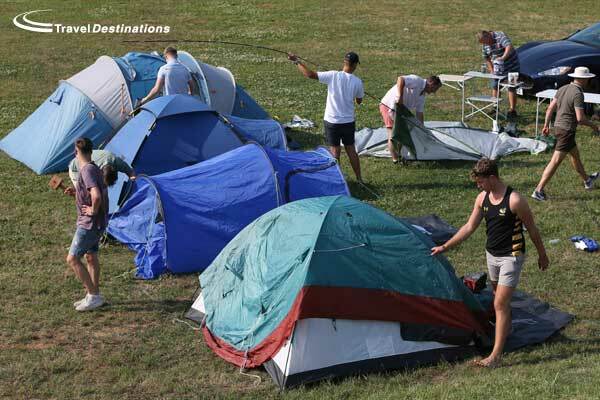 Circuit Camping: Thousands of race fans camp at the circuit each year. Le Mans 2019 will be no different. The circuit run campsites such as Maison-Blanche, Tertre Rouge and Houx are all available through Travel Destinations. You will need to bring your own tent & expect to join a rowdy crowd at various locations around the track. Camping facilities will be basic at best but if you join in the party atmosphere you can have a great time. Private camping at Porsche Curves: Travel Destinations private campsite at the Porsche Curves remains hugely popular with race fans still wanting to camp, but preferring the added benefits of on-site security, serviced showers & toilets as well as hospitality marquee with café & bar exclusive to Travel Destinations customers. In addition, you also get the bonus of our very own exclusive viewing bank overlooking the fastest corner on the circuit! 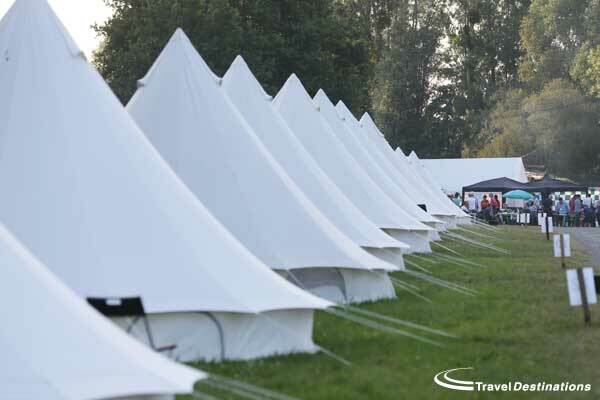 Travel Destinations Event Tents: Our “Glamping” option is located across the other side of the track to our Porsche Curves campsite, but instead of having to bring your own tent, we provide a 5-metre diameter bell-tent, fully carpeted & complete with mattresses and all bed linen. The Event Tents benefit from security, serviced shower & toilet blocks as well as their own hospitality marquee for food and drink and all residents also have access to our private viewing bank at the Porsche Curves. 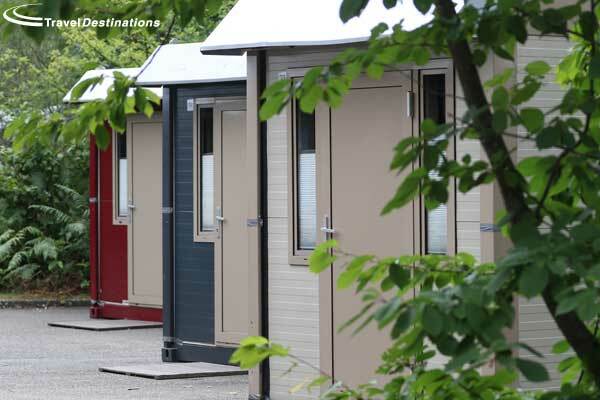 Travel Destinations Flexotel Village: Each year we build a “pop-up hotel” in the centre of the circuit. This Flexotel Village provides customers with their own bedroom at the track. Each room comes with 2 proper beds & all bed linen and towels and you can choose from a standard room with shared facilities or your own ensuite room with shower & toilet. The atmosphere amongst the Flexotels is calmer & more relaxed than elsewhere on circuit, but there is still a hospitality marquee serving food and drinks all weekend for those what enjoy coming together with other like-minded race fans over a beer or a BBQ. All this is just a short walk from the paddock or Tertre Rouge corner. 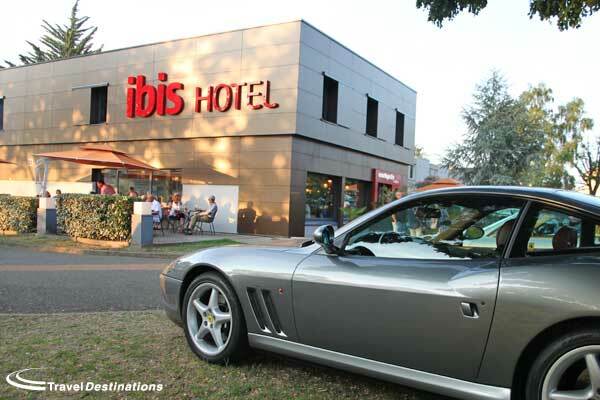 Hotel & chateaux offers: For some the lively nature of the busy circuit may be too much, so staying away from the circuit is a more comfortable option for them. Of course, there is the battle with traffic to get in to the circuit if you are driving, but some of our hotel options also have the option of using the excellent tram service to get to and from the track. Prices for nearby hotel rooms are not the cheapest options, but for those looking to enjoy the whole race week they are certainly a comfortable option. If you’re not sure which option is best for you, then why not call our team at Travel Destinations? Each member of staff has an intimate knowledge of Le Mans with multiple visits under their belts. They know the pros & cons of every option and will be happy to discuss the best option for you. 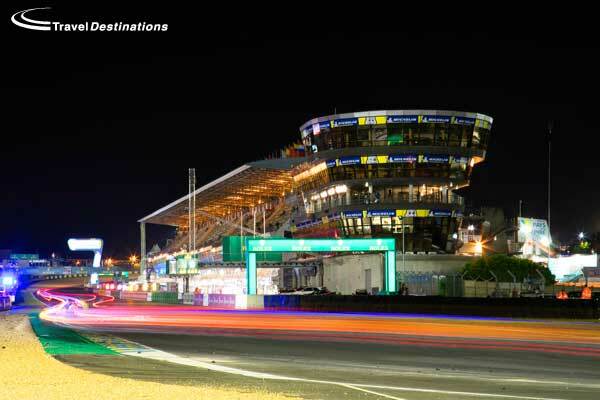 You can book Le Mans 2019 with Travel Destinations now. Early-bird prices are on our website and you can secure your place at Le Mans 2019 today with a small deposit. 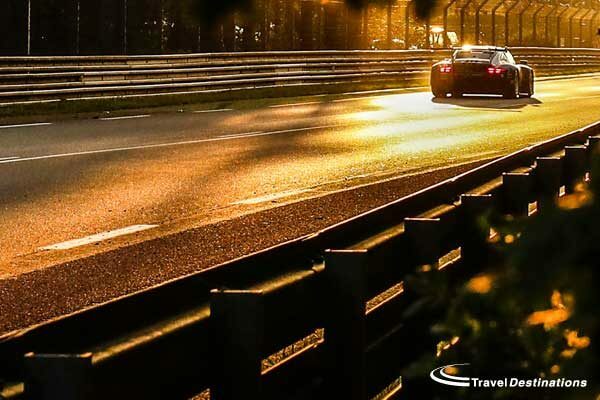 Call us now on 0844 873 0203 to join us at Le Mans 2019.